The windshield wipers on your car are an important component that often goes unnoticed until they don’t work properly. You should try to replace the wipers at least once a year or when temperatures change, such as before the winter season and then again before summer. Thicker blades should be used in the winter to keep the snow off the windshield. You should also try to get wipers that don’t have a spring release as the springs can freeze, preventing you from moving them. Road Runner Apple Valley mechanics can change your wipers if you aren’t sure of the size or when to replace them. Monitor the wipers for any kind of dirt and debris that might accumulate. The debris can begin to scratch your windshield, which sometimes means that it would need to be replaced in the future. High temperatures can weaken the blades. This means that they won’t function in the proper manner and can sometimes leave behind black streaks on the windshield. 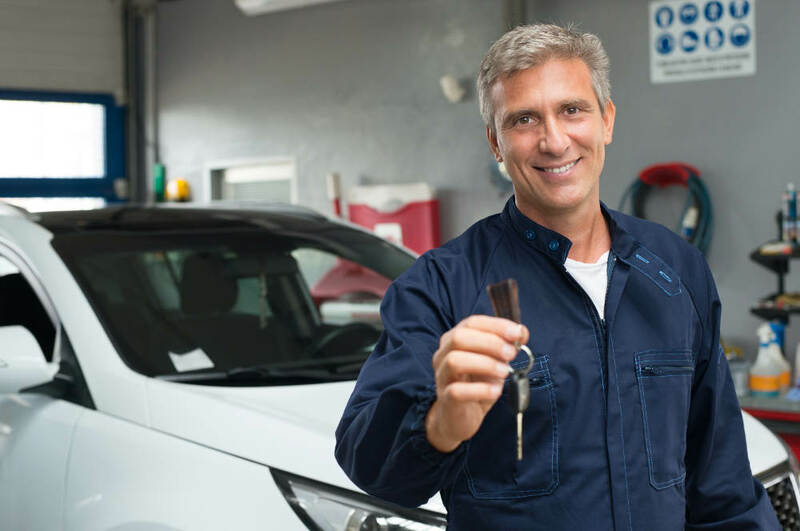 If you notice any kind of damage on the windshield from the wipers, Road Runner Auto Care can offer suggestions about how to handle the issue or try to get as many scratches out before you have to make a decision about replacing the windshield. One of the ways to maintain your windshield and the wipers is to apply a treatment every few months. It will help to repel water, and there are also treatments with de-icer in them that can make it easier to scrape ice in the winter. Make sure your washer fluid is topped off. Add fluid with de-icer in it in the winter to help with keeping ice off the glass. 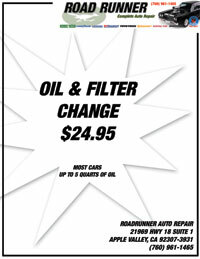 Road Runner Auto Care mechanics can look at your fluid and fill it to the proper levels if you aren’t sure where it goes or how much to add.